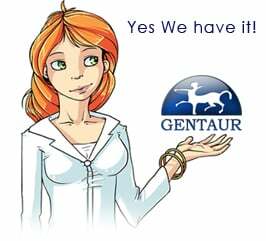 Gentaur antibody-antibodies.com The Marketplace for Antibodies : Molecular, biochemical, and clinical characterization of mitochondrial acetoacetyl-coenzyme A thiolase deficiency in two further patients. Molecular, biochemical, and clinical characterization of mitochondrial acetoacetyl-coenzyme A thiolase deficiency in two further patients. The molecular basis of mitochondrial acetoacetyl-CoA thiolase (T2) deficiency was studied in two patients (GK11 and GK16). Fibroblasts from each patient had detectable immunoreactive T2 polypeptide (CRM). In pulse-chase experiments, fibroblasts from GK11 had two types of CRM: one (type I CRM) disappeared after a 24-hr chase and migrated more slowly than that of the normal control; the other (type II CRM) was detected with a small amount even after a 72-hr chase and had normal electrophoretic mobility. GK16's fibroblasts had a CRM (type III) which was also detectable even after a 72-hr chase and showed a slower mobility than type I CRM. By analyzing amplified cDNA and genomic fragments, we showed that both patients are genetic compounds; GK11 for the mutations N158D and T297M, and GK16 for the mutations A301P and IVS8 (+1). Expression analyses confirmed that mutant T2 subunits with N158D, T297M, and A301P correspond to type I, II, and III CRM, respectively. Among them, only the mutant T2 polypeptide with T297M appeared to have a detectable residual activity, in spite of its instability. Cotransfection of two cDNAs containing N158D and T297M suggested that heterotetramer formation reduces residual activity in GK11 cells.